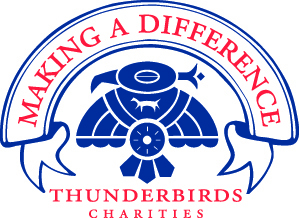 One of A New Leaf’s most beloved supporters, Thunderbirds Charities, is well respected for its dedication to Valley nonprofits. But did you know that The Thunderbirds are also responsible for one of golf’s most prestigious events, the Waste Management Phoenix Open? That’s right. The Thunderbirds manage every aspect of the Open and have made it the largest professional golf tournament on the PGA Tour, with attendance well over 550,000 fans and reaching millions through multi media. It is called “The Greatest Show on Grass.” The next Open is Feb. 1-7, 2016. What to look for this next year? Plans are underway for an improved Skybox Village and Hole 17, a destination for businesses and attendees, said Calihan. "We are always striving to improve every year." Look for updates on the schedule and activities at the official website, wmphoenixopen.com. To learn more about how you can join Thunderbirds Charities in A New Leaf’s mission to end homelessness and domestic violence, please call 480-464-4648.